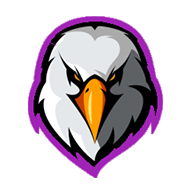 EYRIE is always looking to recruit players who meet our requirements, especially for the upcoming CW season. If you're looking to join or have anything you'd like to ask feel free to ask any of the Executive Officers in game or contact Norm#7815 on Discord. Edited by Hype_, 03 January 2019 - 09:56 PM. Edited by Alita_My_Angel, 23 February 2019 - 07:35 PM.